The Canada Mortgage and Housing Corporation (CMHC) Spring Rental Market Survey was just released, and it shows that the average rental apartment vacancy rate in Canada’s 35 major centres decreased slightly to 2.3 per cent in April 2012. The survey is conducted twice each year. The results of CMHC’s spring survey reveal that, in April 2012, the major centres with the lowest vacancy rates were: Regina (0.6 per cent); Québec and Saguenay (0.7 per cent); and Guelph (1.0 per cent). 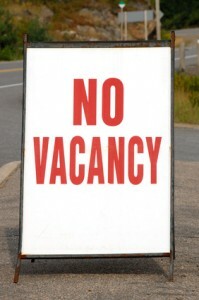 At the provincial level, Manitoba has the lowest vacancy rate at 1.2 per cent. The survey reveals that the major centres with the highest vacancy rates were: Saint John (8.4 per cent); Windsor (7.7 per cent); Kelowna (5.2 per cent); and Moncton and Charlottetown (5.0 per cent). On a provincial basis, the highest vacancy rate was in New Brunswick (6.2 per cent). The Canadian average two-bedroom rent in both new and existing structures was $887 in April 2012. With respect to the Census Metropolitan Areas, the highest average monthly rents for two-bedroom apartments were: Vancouver ($1,210); Toronto ($1,164); Calgary ($1,113); Ottawa – Gatineau (Ontario part, $1,104); Victoria ($1,046); and Edmonton ($1,036). These are the only major centres with average rents at or above $1,000 per month. Provincially, the highest average monthly rents were in Alberta ($1,055), British Columbia ($1,036) and Ontario ($1,014). The lowest average monthly rents for two-bedroom apartments were: Trois-Rivières ($543); Saguenay ($553); and Sherbrooke ($581). On a provincial basis, the lowest monthly rents were: Quebec ($677); New Brunswick ($696); and Newfoundland and Labrador ($727). Year-over-year comparisons of average rents can be slightly misleading because rents in newly built structures tend to be higher than in existing buildings. Excluding new structures and focusing on structures existing in both the April 2011 and April 2012 surveys provides a better indication of actual rent increases paid by tenants. Overall, the average rent for two-bedroom apartments in existing structures across Canada’s 35 major centres increased 2.2 per cent between April 2011 and April 2012, the same level that was observed between April 2010 and April 2011.